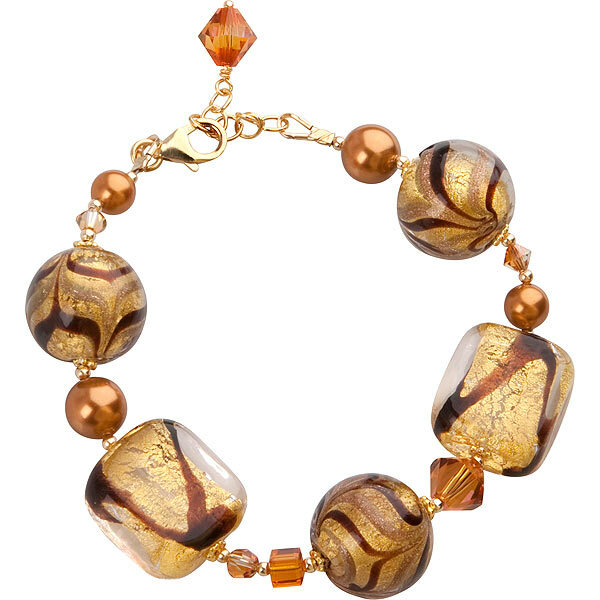 Rich tones of gold and chocolate are showcased in this elegant piece of Venetian glass jewelry. Genuine Venetian beads are balanced with Swarovski Elements and gold-filled findings to create the overall look of this bracelet. 7 inches in length with a 1 1/2 inch extender.